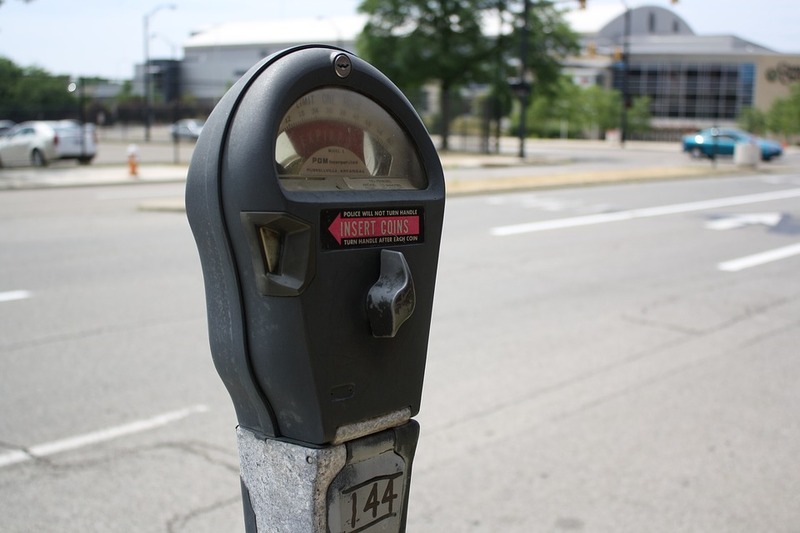 Ask R. Moses: Should we let a developer take over our parking meters? To begin with, charging for parking is the right thing to do. It's the best way to find equilibrium with supply and demand. You can learn a whole lot more about the need to charge for parking via parking guru, Donald Shoup. However, Perplexed’s question raises some additional questions for me. First, is the developer going to gain total control of the parking area and restrict its use to only those residing in or using the development? If that’s the case, the city must think very carefully about whether it is willing to completely give up this land. But even if the developer is not gaining total control of the parking area and instead, merely managing the metering and taking the profit, a careful assessment of the costs and benefits to the city is absolutely essential. For instance, if the developer is taking control of the parking and making money off of it, the developer should also be responsible for maintenance of the area. If the city ends up on the hook for maintenance, it’s getting the worst end of the deal. This is the situation so many municipalities find themselves in when they allow developers to pay for and construct roads in a new subdivision, but then they must pay to service the roads for decades to come, reaping little benefit and racking up tremendous costs for the municipality. Ideally, the city would assess whether managing metering and maintenance itself would offer a net benefit. A scenario and risk analysis on this would help inform the municipality on whether this is a good deal or bad deal for the community. The utilization and cost for the parking are the key variables that need to be considered. Parking revenue is a great way for cities to fund needed transportation infrastructure, and giving it away should only be done if the specifics of this case show that it would be a loss for the community. Another important question that must be asked is how long the developer will have control of the parking. There should be a clearly defined timeline and an agreement about when ownership, control and the potential for meter profits will revert back to the city. One creative approach we might tack onto this scenario, should the city decide to go ahead with allowing the developer to take control of the parking area, is to offer local businesses the option to “bid” for a set fee per month to use one or more parking spaces for themselves. They could turn parking spaces into bike corrals, outdoor seating for restaurants or parklets. These sorts of activities tend to put parking to a much better use than simply temporary car storage. In this end, the most important thing for the municipality is to ensure that a fair deal is struck that neither deprives the city of valuable revenue nor puts it on the hook for maintenance of infrastructure it isn’t even benefitting from. Note: R. Moses is not meant to be professional engineering advice nor should be relied upon as such. Consult your own technical professional before proceeding with your own project. How would you respond to this question? Jump in with your answers in the comments. If you have a question for R. Moses about an engineering issue or frustration in your city, we invite you to submit it here. Ask R. Moses: Will roundabouts reduce congestion? In my tourist town, roundabouts are being offered as a “solution” to congestion. Will they actually accomplish this goal? Ask R. Moses: How does a street get built? How does the process for planning and building a street actually work and when am I, as a citizen, able to participate in the decision-making? Wondering why your local government is claiming it needs to widen a street to make it "safer"? Trying to make sense of the outdated zoning codes in your city? R. Moses has the answer. From the Strong Towns membership, we've assembled a panel of licensed engineers to answer your questions under the collective pseudonym R. Moses. In doing this, we hope to give licensed professionals a chance to speak to important issues without fear of reprisal from their peers or employers. Submit your engineering question anonymously and R. Moses will do his best to answer it in a future post.